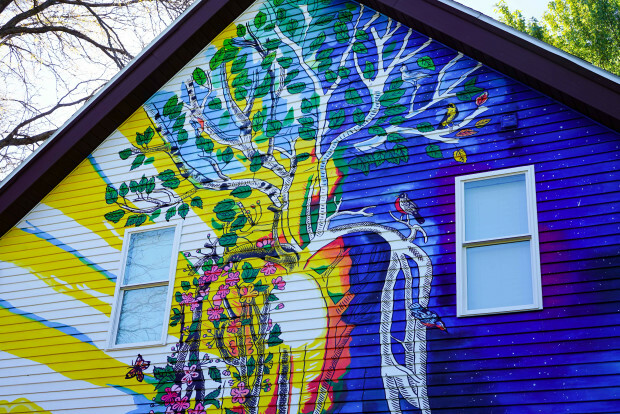 This is a private mural commission for Mary Burke, founder and CEO of Building Brave. 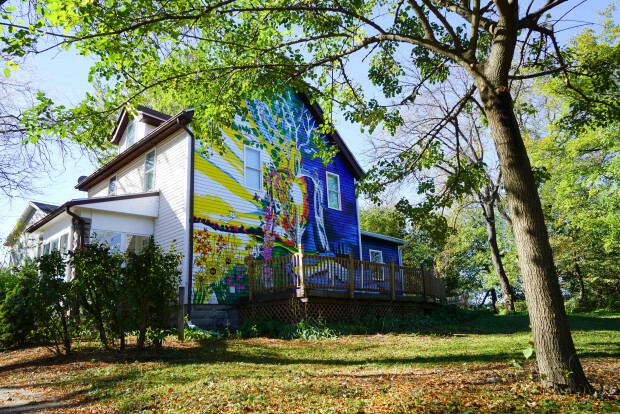 The mural is located on her private residence which faces the neighborhood bike path. 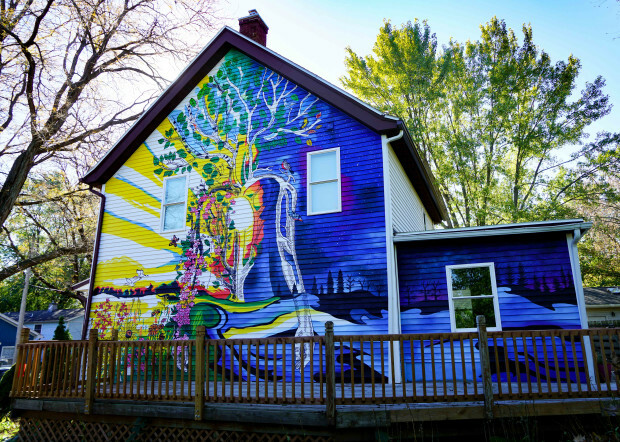 The mural is 600 square feet and painted with exterior grade paints on vinyl siding, with protective coatings against UV, weather, and graffiti. 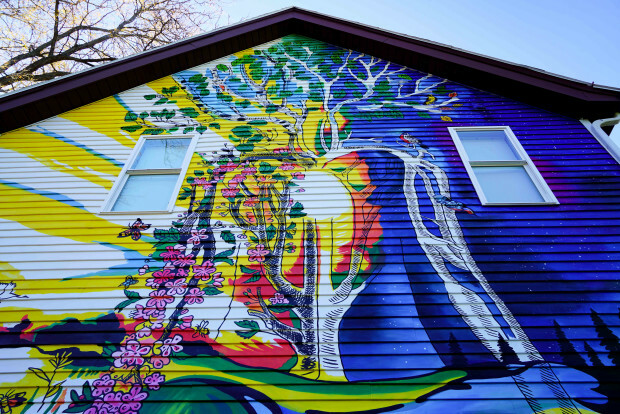 The mural honors the idea that times of dormancy precede times of rejuvenation. 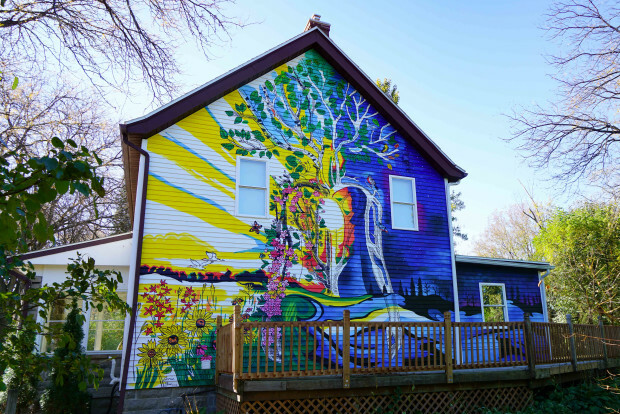 The mural is located on the bike path and is a public-facing work and landmark for the neighborhood. 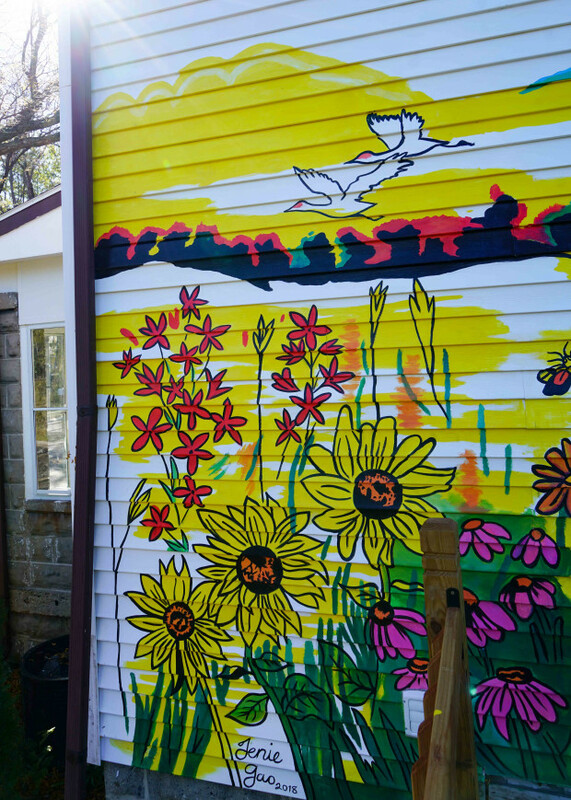 Mary hired me to do a mural on the side of her house after she saw my commission for Working Draft. At our first design consultation, she shared the themes that were important to her (dormancy, rejuvenation), which I took to create 3 design concepts. From there, we honed in on the design that resonated with her the most. I produced a final design and oversaw the production of the mural. In addition to myself, I hired a team of painting assistants to help me finish the mural in 4 weeks, from mid-September to mid-October. I coordinated all the material and equipment needs, from the boom lift to scaffolding to paint supplies.